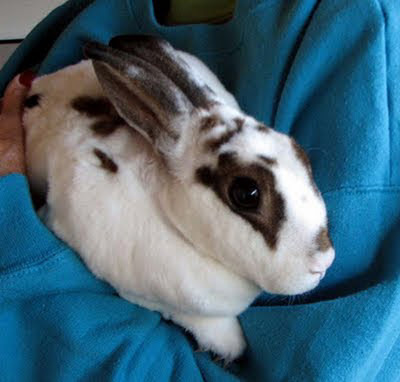 Savannah at A Houseful of Rabbits has passed away, nine years old. Our thoughts go to Rabbits’ Guy and Bunny Lady. Binky free, beautiful Savannah! This entry was posted on Monday, January 9th, 2012 at 3:27 pm	and is filed under Bunnies. You can follow any responses to this entry through the RSS 2.0 feed. You can leave a response, or trackback from your own site. We were so sorry to hear about Savannah, but we know she had the best life a bunny can have at A Houseful of Rabbits! Thank you. We do so miss her.